A stroll through the Scam Alerts archives finds it's been Christmastime all year for the world's scam artists. The Federal Trade Commission tells us that scams hit 30.2 million adults -- 13.5 percent of the adult population -- during the last year for which it has added up its complaints. While the FTC's latest figures are for 2006, there's certainly no reason to think the number declined in 2007. Human ingenuity is constantly on the prowl, after all, seeking new ways to fleece the unwary, the gullible and those looking to get rich quickly. But of course it's not just the greedy and the gullible who get taken. The poor and desperate are also falling victim to modern-day bandits those in grimy boiler rooms as well as corporate board rooms. The dictionary definition of a scam is a fraudulent business scheme designed to make a quick profit. In making our list and checking it twice, we combed our database of nearly 300,000 consumer complaints to find the scams that made great strides forward, roping in new victims and increasing their take in 2007. With Americas mushrooming obesity problem, perhaps its only natural that scammers would dream up all manner of bogus weight loss schemes, in an effort to separate overweight Americans from their money. In 2007 there seemed to be no limit to how outlandish these scams could be. For example, Transdermal Products International marketed a patch that was supposed to make the wearer lose weight. 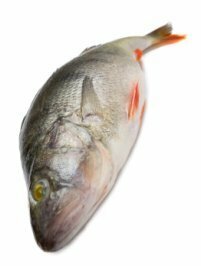 The FTC said the company provided about two dozen domestic and foreign retailers with sample deceptive advertising and bogus substantiation materials, including purported expert endorsements and cooked-up clinical studies. Among the bogus claims, the FTC noted, was that sea kelp contained in the patch had been approved for weight loss by the Food and Drug Administration. And, of course, marketing maestro Kevin Trudeau got in on the act. The FTC accused Trudeau and marketers of his book, The Weight Loss Cure They Dont Want You to Know About, of misrepresenting the books contents in their infomercial. The ad claims that the weight-loss plan outlined in the book is easy to do, can be done at home, and ultimately allows readers to eat whatever they want. However, when consumers purchased the book, they found instead a complex, grueling plan that requires severe dieting, daily injections of a prescription drug that consumers cannot easily obtain, and lifelong dietary restrictions. The FTC sued the same defendants in 2004, alleging that they made deceptive advertising claims for two dietary supplements and billed consumers credit cards without authorization. The FTC also took legal action against the marketers of various Hoodia products, including companies in Canada, and Australia. The companies claimed their pills would not only help consumers lose weight, but reverse the aging process. The unemployment rate may be low, but Americans increasingly long to fire their boss, bail out of the rat race and work from home. That mood set up one of this years ripest growth areas for scammers marketing bogus business opportunities and work at home schemes. According to an FTC survey, many victims fell for more than one of these scams. Not all of these are envelope-stuffing schemes. Robert, of Durham, North Carolina, signed up with a company that promised to train him and give him a technical job working from his home. [The] company guaranteed employment and technical training materials, he told ConsumerAffairs.com. It took our money, provided nothing, then offered refund checks which bounced. Randy, of Springfield, Oregon, found his work-at-home directions very unappealing: They needed $32.95 to send the materials I would need. What I got was a letter telling me to basically do the same thing to other people. Others lost much larger sums of money. Two people faced federal charges of tricking more than 1,300 consumers into paying between $5,000 and $25,000 for a bogus franchise to sell business cards. Using Internet and classified ads, telemarketers, and income projection spreadsheets, the pair claimed that consumers could earn $150,000 in their first year and recoup their initial investments within three to five months. Others seeking employment on online job sites like Careerbuilder.com continued to get lured into home-based jobs, presented not only as highly paid but also incredibly easy. All they had to do is receive large checks donations to feed the worlds orphans, for example and deposit them in their personal bank account before wiring the money out of the country. The checks, of course, were counterfeit. The victims had to repay the money that had been wired to the scammer. Meanwhile, the tried-and-true envelope stuffing scam is still reeling in victims. An Arkansas court fined a woman $1.3 million for running an envelope stuffing scam from that state. Customers paid $99 to be part of the program and were led to believe they would receive $10 for every advertisement they mailed out for the company. Arkansas Attorney General Dustin McDaniel said work at home schemes are becoming an increasing problem and urged consumers to use caution when considering any such offer. This scheme, which topped our list in 2006, falls to number three this year, but continues to claim thousands of victims who have lost millions of dollars. Canadian scammers this year came up with something new -- a phony lottery in which "winners" are chosen from among local utility company customers. In one such scam a company called Capital One Corp., based in Massachusetts, sends a letter claiming that the recipient has won $50,000 through a random drawing based on account numbers of local utility customers. As with many of these scams, a check is enclosed for a portion of the "winnings," in this case about $4,000. 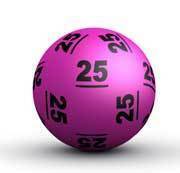 The recipient is urged to keep the prize secret, and to call an enclosed phone number for more details about their winnings. Unfortunately, the check is a counterfeit, copied from a legitimate bank in Massachusetts. Despite the American address posted at the top of the letter, a listed branch office and the included phone number can both be traced to Canada, the origin of many foreign-lottery scams. Anyone who calls the number will likely be instructed to deposit the phony check and wire money to help process their prize. This is the classic hook of a lottery scam. A anyone who sends money will lose the money they send and will soon learn the check they cashed was phony. A prize? Don't think so. Consumers who remember that it is impossible to win a lottery or sweepstakes they didnt enter are much less likely to get burned. While many of these lottery scams are remarkably similar, one especially brazen con man set himself apart when he included an impersonation of Oklahoma Attorney General Drew Edmondson as part of his scheme. In August Edmondson received a complaint from a consumer who was notified she had won $800,000 in a Readers Digest lottery. She then received a call from someone purporting to be the Attorney General, who said he could verify the legitimacy of her winnings. We are investigating this scam, and if we are able to track this con man down, its a sure bet he will get more than a call from the attorney generals office, Edmondson said. "He will get to meet one of our investigators face to face. 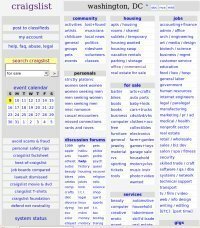 This one could also be called the Thrifty Nickel Scam, or classified ad scam, but with craigslist becoming the classified ad medium of choice, the online service is also becoming the scammers vehicle of choice. The scam almost always works like this: someone renting an apartment or selling a big ticket item will be contacted by an interested party from out of town. Without any haggling, the buyer/renter sends a large check much more than required. The victim is told to deduct the asking price and then pay an additional expense. In the case of the purchase of a piano, they are told to pay the shipping then wire the balance back to the other party. The large check is counterfeit, but thats usually not discovered until the victim wires the money, which cant be recovered. The scam has become so common that craigslist has a page on its site warning users to avoid these scams. • Western Union, Money Gram, cashier's check, money order, shipping, escrow service, or a "guarantee"
• inability or refusal to meet face-to-face before consummating the transaction. When someone says craigslist will guarantee the transaction, its a dead giveaway that youre dealing with a scammer. The company says it never has any role in any transaction. If you were new to the world of personal computers, you might be unaware that prices for PCs have been tumbling, and that complete systems start around $500. If you had poor or no credit, you might be sucked into a scheme to sell you a computer for more than $2,000 and not send it to you until you had made several months worth of payments. Or maybe, not ever send it to you at all! 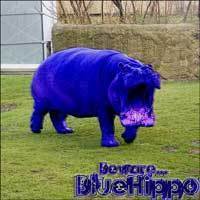 Welcome to the world of Blue Hippo, Financing Alternatives and their imitators. BlueHippo, part of Edison Worldwide, is a Baltimore-based company that sells computers and TVs to consumers who have poor or no credit. Its customers are mostly individuals who have trouble managing money, do not have enough cash to pay the purchase price and don't qualify for credit from more traditional retailers. The company's advertising has been spattered across American TVs since the BlueHippo's birth in April 2003. Since then, the ceaseless waves of complaints have flooded almost every ear that will listen. As late as last month, complaints were still rolling in at ConsumerAffairs.com. In August 2007 I started the layaway process with the infamous Blue Hippo company, Roberto, of San Leandro, told ConsumerAffairs.com. When I spoke with the sales rep I was quoted a computer at $1,700. This included shipping and all accessories and taxes. When I received the paper work the actual price was a staggering $2,178. Roberto said he was told he would receive his computer in eight weeks, but when the paperwork arrived, eight weeks had turned into 13. In mid October, still without his computer, he said he tried to cancel the deal, but a month later Blue Hippo was still sucking $79.98 from his bank account every two weeks. Meanwhile, the state of Virginia has shut down a Blue Hippo wannabe, Financing Alternatives, Inc., after consumers complained the company took their money allegedly for grossly overpriced computers but provided nothing in return. I didn`t have the heart to tell my son it was a scam, that the money was just stolen, Carla, of Galesburg, Illinois, told ConsumerAffairs.com. He looked at me and said no Mom, somebody wouldn`t do that. I said well this company did and it wasn`t just us, but many others. Many, many others. Virginia Attorney General Bob McDonnell says Financing Alternatives owes computers to 1,765 customers who paid in full - plus hundreds more who've made partial payments. McDonnell says Financing Alternatives and its owner George Christian owes consumers $3.3 million. 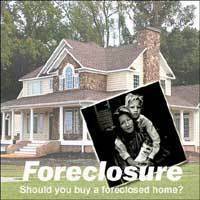 With 2007s subprime mortgage mess and escalating foreclosures, theres a lot of desperation out there among some homeowners. Theres also no shortage of shady characters hoping to get rich off this misery from mortgage rescue operations to teaser rate mortgage hustlers. Also hoping to take advantage of the fear gripping the housing market are scammers who promise to pay cash for your house often without even seeing it. In North Carolina, state officials say one such company making that promise to homeowners was nothing more than a scam. Attorney General Roy Cooper said the company, Charlotte Home Solutions, promised to buy homes from people who needed to sell quickly but instead left them vulnerable to foreclosure. As alleged in Coopers complaint, the company convinced homeowners to sign title to their homes to a trust controlled by the partners. Because Charlotte Home Solutions didnt assume the mortgage on the property, the original homeowner unknowingly remained responsible for mortgage payments on the house. This scam hurt both homeowners and people who hoped to become homeowners, Cooper said. For the last few years, identity thieves have used spam phishing emails to trick people into revealing social security numbers and other sensitive information. While more people have become savvy to these ubiquitous emails, allegedly from banks and credit card companies, in 2007 scammers found a sure fire way to get their emails noticed. Hardly anyone, they discovered, disregards a notice from the feared Internal Revenue Service. In May, the IRS warned consumers about an e-mail scam intended to fool people into believing they are under investigation by the agencys Criminal Investigation division. The e-mail purporting to be from IRS Criminal Investigation falsely states that the person is under a criminal probe for submitting a false tax return to the California Franchise Tax Board. The IRS does not send out unsolicited e-mails or ask for detailed personal and financial information. It dealt with new variations of the same email scam for much of the year. Everyone should beware of these scam artists, said Kevin M. Brown, Acting IRS Commissioner. 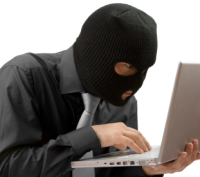 Always exercise caution when you receive unsolicited e-mails or e-mails from senders you dont know. Judging by our mail, nothing infuriates consumers more than this scam. Even if the monetary loss is only $9.95, the fact that a business would think it could hit your credit card without your informed consent simply drives people up the wall. As well it should. And all those small charges can add up to some pretty big money. In 2007 Mary Lou Farr and other defendants settled FTC charges that they placed $30 million in bogus collect call charges on millions of consumers phone bills a practice known as cramming. 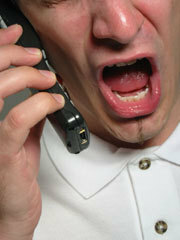 The charges, usually between $5 and $8, typically were buried in the back of consumers monthly phone bills. In July the FTC shut down Florida based Suntasia Marketing, Inc., one of the largest telemarketers of those supposedly free trial memberships in buyers clubs. The FTC charged the company defrauded U.S. consumers out of tens, and perhaps hundreds, of millions of dollars. According to the FTC, when Suntasias telemarketers called consumers to offer these free trial memberships, they deceived them into divulging their bank account information and later charged consumers without authorization for a series of negative option programs. With a negative option agreement, a company takes a consumers silence or failure to cancel as acceptance of the offer, and permission to bill them. The essence of this massive telemarketing scam was simple: trick people into giving out their checking account numbers, send them a brochure on a travel and buyers club, take money out of their bank accounts for as long as possible, and make it very difficult to cancel and get a refund, said C. Steven Baker, Director of the FTCs Midwest Region. Consumers complained in near-record numbers about Suntasias practices. In total, the FTC collected and reviewed more than 5,000 formal consumer complaints against Suntasia that were submitted to various law enforcement agencies and the Better Business Bureau. They have been charging me $14.95 a month since January 29, 2007 on my phone bill. My phone company can't tell me what the charge is for. The company won't answer the phone in order for me to file a complaint or contest the charges. So far they have gotten $164.45 plus taxes from me. For its part, ILD proclaims its innocence. The company acts as a billing agent for many other, smaller companies some legitimate, some obviously not. Telephone providers, such as Verizon and AT&T;, are powerless to prevent these charges from being added to their telephone bills, thanks to Congress bumbled efforts at telecom reform. Consumers should keep in mind, however, that they can refuse to pay unauthorized third party charges on their phone bill without it affecting their local telephone service. This one makes our list, not because its all that widespread, but because its particularly despicable. The scammer who sounds young and American calls a military spouse and identifies herself as a representative from the Red Cross. 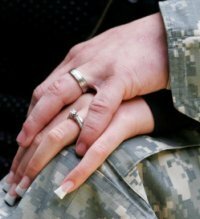 The caller says that the spouse's mate, who is not identified by name, was hurt while on duty in Iraq and was med-evacuated to a hospital in Germany. The caller says treatment cant get started until paperwork is completed, and in order to start the paperwork they needed the spouse to verify her husband's social security number and date of birth. With that information, the scammer can steal the service members identity. The Red Cross says its representatives typically do not contact military members dependents directly and almost always go through a commander or first sergeant channels. You open your email and theres one of those clever E-Card Greetings. The greeting looks real enough. It is an exact replica of a Hallmark E-Card, or one from MyPostcards.com or a number of other sites that provide animated email greetings. The recipient is instructed to click on a link to view the greeting card. But doing so leads to big trouble. The link goes to a hackers Web site and tries to open a file called postcard.exe, which then downloads a Trojan, damaging your computer and giving a hacker access to your hard drive. These fake greetings started popping up around July 4th. It might be wise to expect to see them again around the holidays. Security experts advise that people who receive a an unexpected E-Card from a person they do not know, or have not heard from for a long time, should delete it without opening it, as they would any other email from an unknown, or suspect, source. There were other annoying scams that didnt make our list this year, but which deserve honorable mention. Like the companies that produce those pop-ups in your Web browser that look like security alerts. It warns youve been infected with spyware, and when you click on the option to remove it, the pop-up offers to sell you software to remove the non-existent spyware. In October, Washington State Attorney General Rob McKenna has reached a settlement with one of three California-based Internet affiliate advertisers accused of violating the states consumer protection and spyware laws. Senior citizens also remained prime targets for scammers in 2007. Texas Attorney General Greg Abbott filed suit against three North Texas companies for bombarding seniors in Texas and across the country with deceptive, unsolicited mailers designed to dupe them into sending the companies their personal information. The lawsuits alleged the companies then used the information to develop sales leads for insurance, financial and other companies. Perhaps the most poignant scam story of 2007 involved a poor soul from St. Louis, who last July fell for a classified newspaper ad looking for movie extras for Into The Blue 2, a movie purportedly being shot in Vancouver, British Columbia. The catch? Extras had to pay their own airfare. Instead of being allowed to book his own flight, the victim had to send the money to the scammer, paying twice the value of the ticket. Arriving at the Vancouver airport, where he expected to join other movie extras, he found himself alone and the victim of a cruel hoax. Adding financial pain to his humiliation, the airline refused to cut him any slack on his return ticket, good for a flight two weeks later. In order to return home in a timely manner, the victim had to pay a full price, late reservation fare, plus change order fees. When word of his plight got out, people who worked in the airport gift shop clerks, rental car agents, and airline employees, took up a collection to help him pay the extra charges for the return ticket. Someone called a local TV news crew, which came out to the airport and interviewed him about his plight, making him something of a star, at least for a day. While the world is full of evil, rotten people who cant wait to scam you, its good to remember that there are nice people too.